14 | July | 2017 | Health Promotion Ideas: Let's Get Healthy! Wellness encompasses health, which is a bodily state. There are times in all of our lives when we need to consider more than just the bodily state of health that contributes to our state of wellness. True wellness demands that we, as individuals, place foci on our physical, mental, nutritional, social, & spiritual needs. 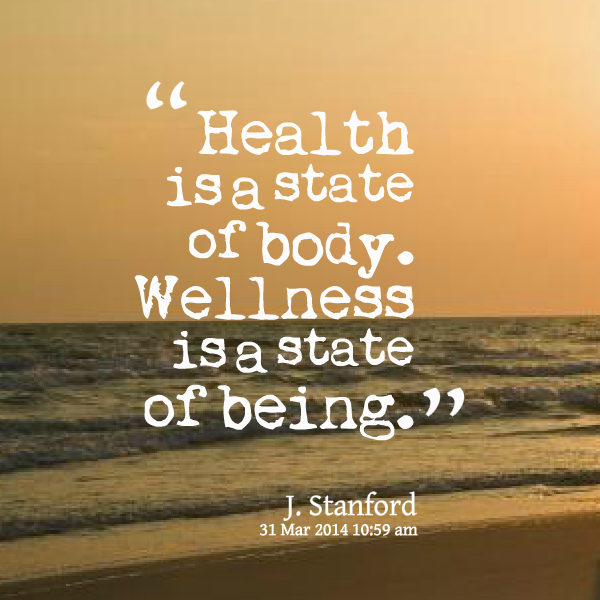 Therefore, to consider all of the elements of our wellness, is to provide an overall focus on our well-being. This should be expected to be challenging, because our needs are constantly changing. Our wellness can also be challenged by the influence of those needs on each other. For example, one’s physical needs may suddenly require more attention or the stress from one’s relationships may overshadow everything else. When one is feeling overwhelmed, or otherwise identifies their belief in lacking a state of wellness, it can be difficult to decide where to place one’s focus. Inclusion of sufficient physical activity, proper nutrition, and healthy relationship boundaries can be a good foundation for wellness. When these needs are being met, one may additionally examine one’s social and spiritual needs. Without these basic needs being met, it may not be possible for social and spiritual needs to be additionally considered. However, for others, they may require spiritual and/or social needs being met in order to meet their physical, mental, and nutritional needs. What is most important is what you, as an individual, need to advocate for your complete state of wellness. A sole or primary focus on any one of the wellness elements can complete with the efforts needed to strive for a state of health for another element and for whole person wellness. One should be careful that one’s efforts do not result in supporting only a state of health, rather than supporting wellness. When considering health promotional ideas, take into consideration how to work toward promoting a state of health for each of the elements required for your state of wellness!